The Business Loan Fund of the Palm Beaches, Inc. (it's legal name) was incorporated in 1996 as a private nonprofit corporation organized under Florida Statute 112. The IRS granted the organization an advance ruling of 501(c)(3) status in 1996. 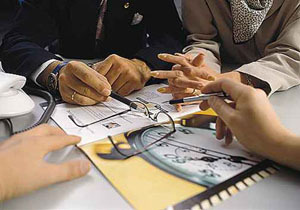 It is governed by a self-perpetuating board of directors and managed by president and CEO, John B. Brown. 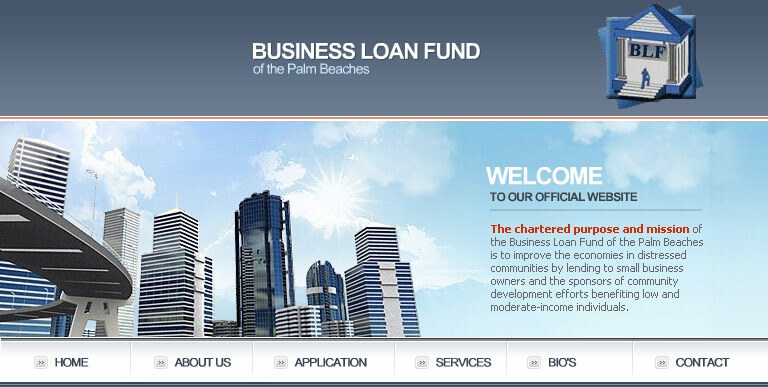 The chartered purpose and mission of the Business Loan Fund of the Palm Beaches is to improve the economies in distressed communities by lending to small business owners and the sponsors of community development efforts benefiting low and moderate-income individuals. The Fund's lending approach is multi-faceted and includes both financing and the development of micro-enterprises and small businesses. The Fund raises equity and borrows capital from public and private investors and then lends these funds at reasonable rates and terms. It directly provides critically needed technical assistance to business loan applicants, both before and after closing, and also directly through a network of business resource centers and small business incubators. 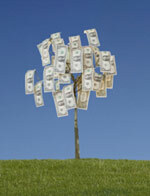 The Business Loan Fund, headquartered in West Palm Beach, Florida, began its operation in 1997. In 1998, the organization's first full year of lending, the U.S. Department of Treasury designated the organization as a certified community development financial institution - among the first in the country. The Business Loan Fund concentrates its efforts in the low-income urban and rural communities of Florida's "Treasure Coast", so dubbed because of its gleaming ocean-side communities and resorts. The Fund addresses it's resources to the population of this five-county region that has not benefited from that wealth. The Business Loan Fund partners effectively with both public and private sector economic development organizations in order to stimulate the economy. The organization facilitates the flow of credit that diversifies the economy and creates economic opportunity including living wage jobs in a part of Florida, an area that has both incredible wealth and staggering poverty. The Fund has raised $1.1 million in private sector (banking principally) capital and matched it with $4.4 million in public sector capital in order to make these investments. To date, the Business Loan Fund has financed $4.5 million in micro ($500 to $35,000) and small business loans ($35,000 to $75,000), and created over 600 jobs. The year-end 2004 balance sheet shows total assets at $2.84 million and net assets at $1.15 million, a capital ratio of 40%. To support this achievement, management raised debt and equity capital from a variety of private and public sources. The organization has done very well at reaching borrower populations not served by the mainstream financial institutions: minorities and immigrants, and people living and doing business in U.S. Treasury Department designated "hot zones" urban neighborhoods of significant distress (of which there are twenty in the five-county area. During the 2004 fiscal year, 57% of loan capital was invested in hot zones, and the remainder went to borrowers in target population groups - minorities and immigrants. As the organization grew stronger in its initial market, Palm Beach County, it has begun to reach further into its expansion area. To date, 23 loans totaling $195,000 have been made in Hendry and St. Lucie Counties. The organization received a grant award from the CDFI Fund to complete a market analysis in all the counties of the expansion area, and management expects the research to be completed early in 2006. That work will point the direction to developing markets for its products in each of the counties in the region: Hendry, Indian River, Martin, and St. Lucie. The Business Loan Fund has demonstrated that with good management, a community development financial institution can serve both bottom lines - serving low-wealth communities and individuals, while maintaining a strong financial position. Finally, The Fund demonstrates that it can manage stormy weather: after fall 2004's hurricanes caused several borrowers to default. Forecasts for June 30, the year-end, indicate that the organization will again end the year in the black, though productions will be down. You should follow me if you have any interest in PS3's.